Mountain bikes are harder to set up than road bikes, because they face so many competing demands. Here are the secrets of great bike fit. First, your riding style matters. If your focus is climbing and cross-country (XC), you’ll want the most pedal-efficient stance. Your seat will be high, your head low and your back at at least 45 degrees. 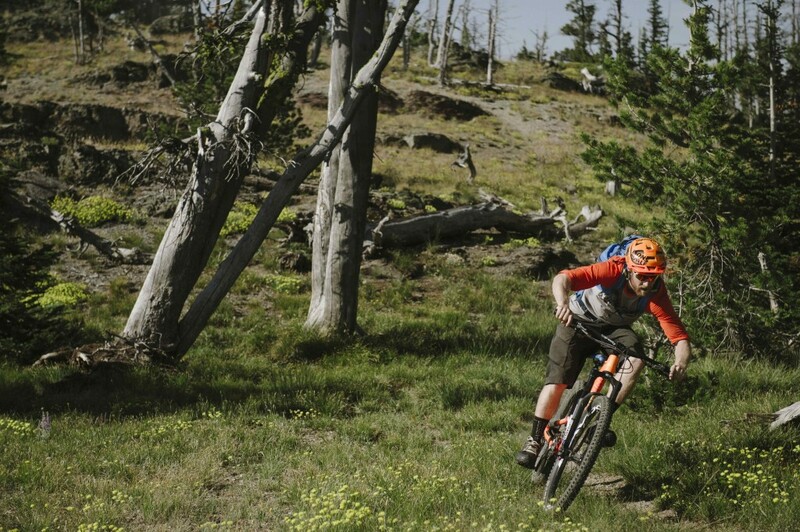 If you’re more into trail riding and fast descents, however, those settings will hold you back. Too low and your knees and thighs will crumble on climbs. Too high and your hips will rock. For the most efficient pedalling, adjust until your leg is straight with your heel on the pedal, with the pedal is at its lowest point. Your knee will now be slightly bent with your foot correctly placed. Your saddle should be pretty much horizontal. 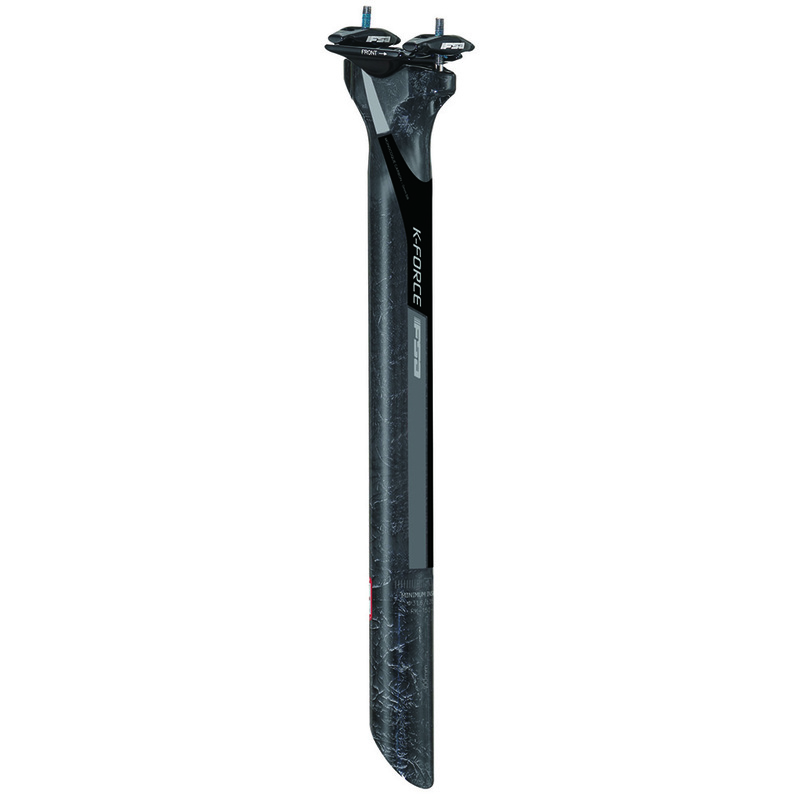 A good seatpost with strong adjustability, like the K-Force SBO, is key. The downside? This setting leaves very little room to move, which can seriously affect your control (and speed) on steep descents and even over flat, rough ground. Lowering the saddle a few centimetres really helps. Dropping your heels further gets much of your pedalling extension back. Get your seat-hight right with the continuous carbon fiber section K-Force SB0 seatpost. Bars have got wider, but the ‘right’ width is personal. A wide bar like the 760mm Afterburner Low Riser puts your hands well outside your shoulders for stability; too wide feels ungainly. Riser bars bend both back and up, so should be rolled in their clamp for the perfect angle. Adjust so your palms sit naturally behind the bar (not on top, where they can be jarred off) without pulling unnaturally on your thumbs. The alloy Afterburner Low Riser is available in three widths from an XC 630mm to an AM-friendly 740mm. Your arms should fall with an easy bend at the elbows, with positive but not heavy pressure on your palms. If your elbows are straight, your bars are too distant, too wide or too low. Heavy pressure on your palms indicates the latter. Stems are getting smaller; aggressive trail bikes now use down to 35mm, though 50-60mm is more common. Shorter stems make the steering more direct and move weight back from the front axle, lessening your risk of going over the bars. Very short stems need longer frames to compensate, though dropping a centimetre or two can be offset by fitting wider bars at the same time. Check out the range. 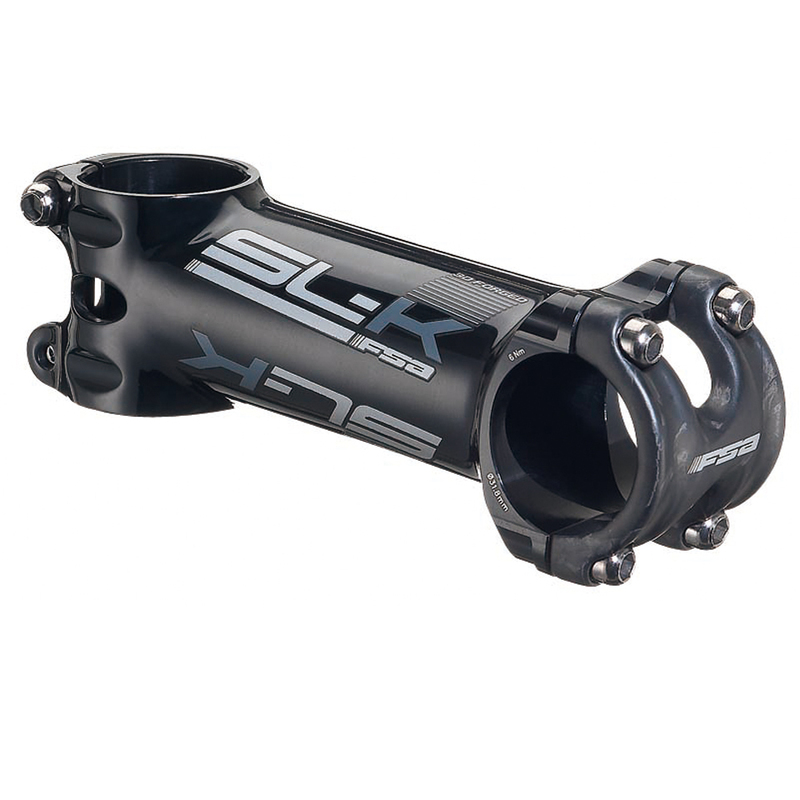 The innovative 20-degree drop SL-K stem restoring weight distribution and handling balance to big-wheel, long fork-travel MTBs. Slide the levers along the bars until your forefinger sits naturally into the crook. It’ll probably be around 2cm (0.8in) inside the grip. Tweak the lever reach (if possible) so your finger’s first joint sits into that crook. Next, spin the clamps until your arm, hand and brake finger/s are in a broadly straight line. You’ll find they end up at approximately 45 degrees from horizontal. Once again, if descending is your focus that may not be right. In the attack position (stood, knees bent, elbows up) your forearms will be lower, forcing your palms over the bars in the reach for the levers. That awkward angle can cause arm pump, too. Raise the levers for maximum control. Assist your perfect MTB for and position with the right levers: check out the K-Force hydraulic brake lever.